First of all we would like to welcome you in 2018! Team dmAFRICA is wishing you a very happy and successful new year. Let’s make it even more extraordinary than the previous one together. At this entry you will be introduced to the mysterious tradition of voodoo. 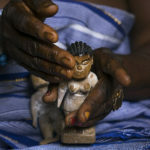 Most people mistakenly associate Voodoo with pin filled dolls and its often confused with the occult science of Bò. 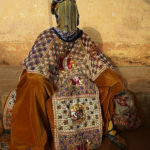 Vodoo is a whole assortment of cultural elements, way of life… It roots in West #Africa. 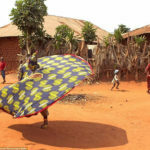 Modern day #Benin is regarded as the birth place of this religion. #Vodun word in Fon language means #spirit. It centres around the spirits and other divine beings (around 100 of them) that govern the Earth. They believe Mawu or Mahu is the divine creator and that nothing and no event has a life of its own, the universe is all one and each thing affects something else. They are animist and they worship spirits (called lwa or loa). 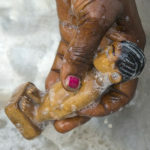 60% of the Beniners are devotees of voodoo or vodun. A “Voodoo day”, is held on 10 the of January is a national day and it’s one of the most colourful events. Held annually in a small town of #Ouidah a former slave port in the West African country of Benin. It’s usually starting with a goat slaughter offered to the python god. 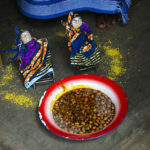 Devotees offer dances to the spirits, often with bodies decorated with powder and palm oil. The festival commemorates the estimated 60 million people who lost their homelands and their freedom during the African slave trade. 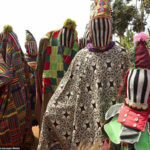 #Zangbeto are usually parts of the #Ouida festival. 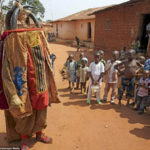 They are the traditional voodoo guardians of the night in the Yoruba religion of Benin and Togo. They are also known as the night watchmen. 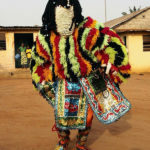 Traditionally, the Zangbetos were the policemen of Benin and the main guardians of law in the country before the official law establishment. #Legend tells that there are no humans under the costume, only #spirits of the night. They are able to fall into a trance which, according to tradition, enables their bodies to be inhabited by spirits who possess special knowledge. 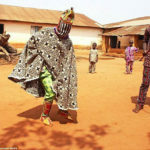 Similarly to above introduced #Zangbeto , Egunguns in #Benin belong to a secret society. They are believed to be “living ghosts”, #dead and ageless at same time, who would die and kill anyone at the same time, immediately with a single touch. 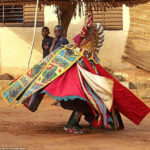 Therefore as a warning they are always accompanied by drums, performing dances, wearing #colorful, unique #costumes which symbolise the power and prestige of previous generations. Their words and advice are believed to come directly from the gods but their language is not understandable by the locals. 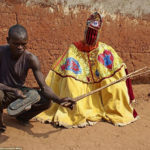 They are always followed by a “minder” with a stick to beat away anyone who tries to touch one #Egungun . An #effigy is a representation of a specific person in the form of sculpture or some other three-dimensional medium. 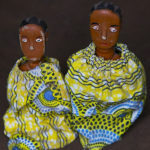 The Fon tribe of #Benin, West #Africa, create effigies of twins who die in childhood and raise them as if alive twins ( 40 % of twins of the world are born in Africa). 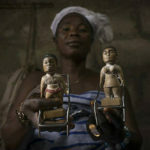 They have a special place in the voodoo religion in the area and their spirits are thought to inhabit the dolls. 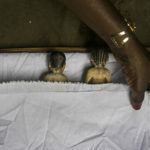 If the dolls aren’t looked after, they will put evil curses on the family but if they are cared for, they will help them. The Fon tribe has a very high rate of twin births – one in 20 – but many die from childhood diseases and malaria. This place is just a market, like every other except here you can’t purchase your usual vegetables but fetishes! 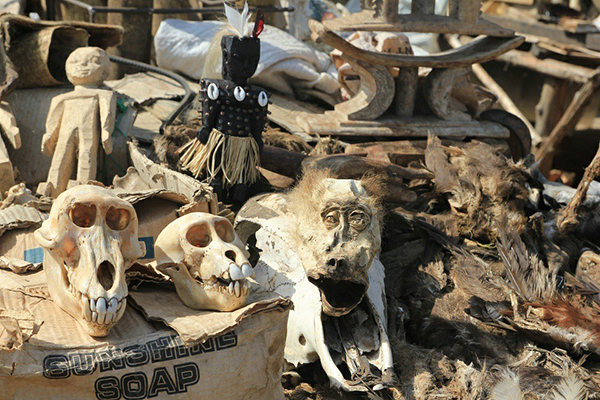 Few kilometres from the centre of #Lomè, capital of #Togo in #Akodessewa Fetish Market (Marche des Feticheurs) you can find dried animal heads & other parts, charms, dolls, anything you need for voodoo #ritual . The animals have to be found rather than killed. If the animal was killed, it’s not accepted. The market operates since 150 years (was moved from Dahomey). In the center of the Fetish Market, there is an iron sculpture which houses the Vodun Gou, or Iron God, who protects the market. To satisfy the Vodun Gou, the priests #sacrifice goats and cows. 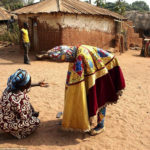 There are also voodoo priests at the market who will help you to find the right medication, spell or even to find out more about your future. 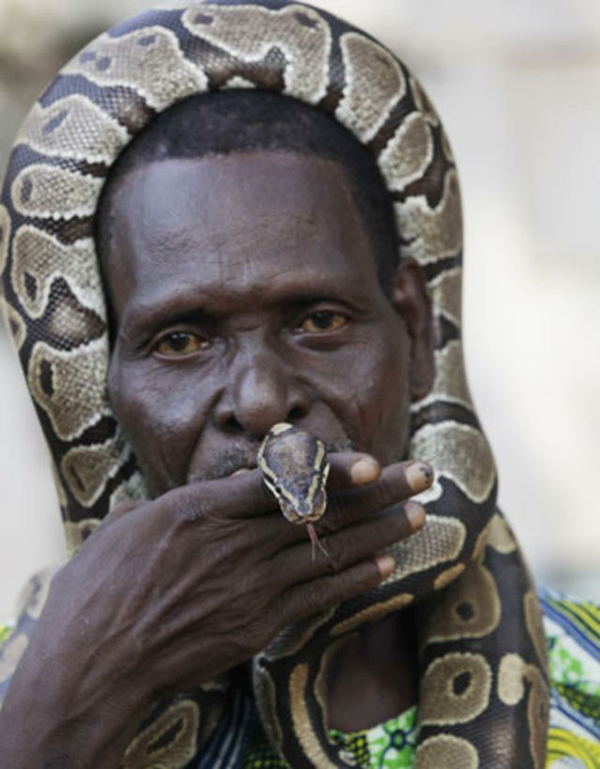 Whatever your problem is, the traditional healers at the Fetish Market have a solution! The market is opened from 8.30 till 18.00 h so be on time!